Greetings from the Crusader Monk shoppe! 2013 was an outstanding year at Crusader Monk. 252 commissions were completed in 364 days making for a tremendous, although crowded time here. As most of you know, I work out of my personal shop in my garage, so if you can imagine that volume of swords moving through your home in a year's time, you'll get the point (pun intended). One unfortunate side effect of such a good year is that my time to post in progress and completed commission threads in the forums was diminished to nearly nil. Even now, I have 8 commissions I am working on to be finished in the next 7 days. But, even though I do not post as frequently, I am still here working the whole time making more scabbards than ever before. I still have only a two week turn around time, but it's a challenge daily to maintain. Many days, I am working until well into the evening to get something finished up. 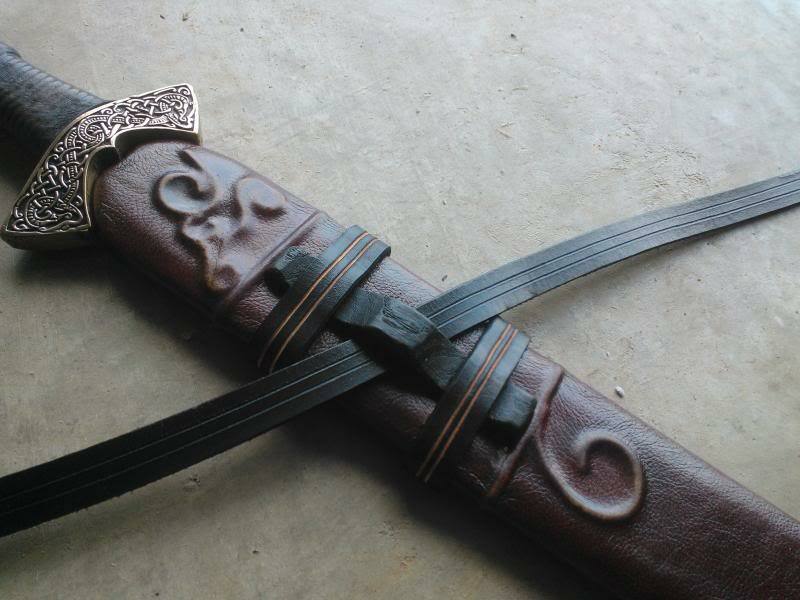 With the addition of many manufacturer and vendor clients, such as KoA and Odinblades, this type of volume looks to increase in the coming year to the point to where I am actively seeking an apprentice to help me out with orders. None of this would be possible without the great people in the community that allow me to take on their commissions. For this, I am greatly appreciative. I'd like to give thanks to everyone of our myArmoury customers. Thank you for making 2013 such a great year, I look forward to serving you in 2014. Now, I am not going to post 252 photos of swords here, because of band-width restrictions, but I will post a few for your enjoyment. 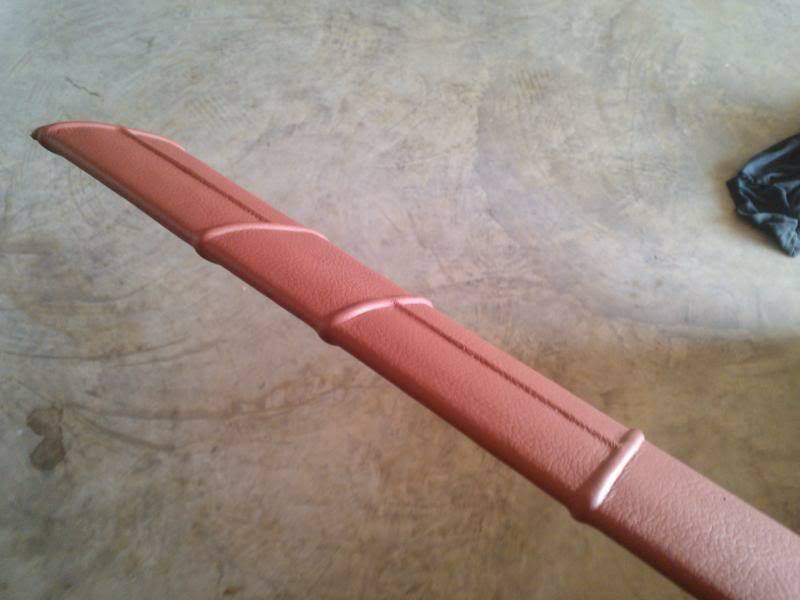 One of the biggest innovations in 2013 for Crusader Monk is that I went from using a laminate method of creating sword scabbards to doing a 2-piece carved core - which resulted in a much thinner scabbard with a much more lenticular shape than my first generation product. This Del Tin was in pieces when it arrived (bare blade, pommel and guard blank, no grip). 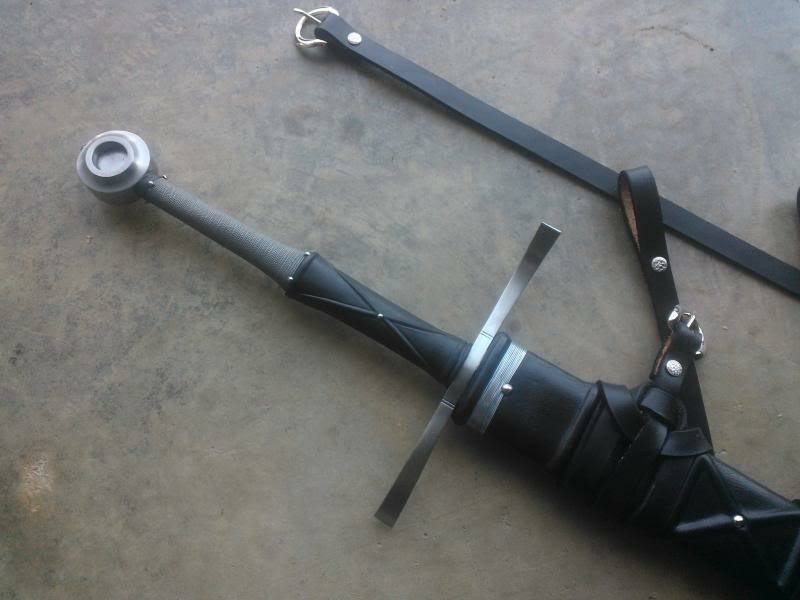 Everything had to be milled out and made to fit, in addition to having a new grip added, which resulted in quite a nice little sword for the customer. As a satisfied customer myself, I'd like to say well done! Here's a question for you... ever consider doing metal throat lockets? Great work! I love seeing manufacturer end results photos....keep up the good work. Really nice stuff. Your work load shows how in demand scabbards are in the community, and how we need more people making them. Have you ever thought of getting away from the rivets, Chicago screws, or whatever it is you're using to attach the straps? I know something like stitching or lacing would add considerable time to your process, but the current method of attachment really gives your work a more modern look than some of us would prefer. Perhaps stitching or lacing could be available as an option in the future? Thankyou Sarge, I think many are grateful that you have stepped into this niche part of the market. Im really looking forward to seeing what you can come up with for my LongShip Silvia, im also planning on sending you my Principe in the 1st 3rd of this year. 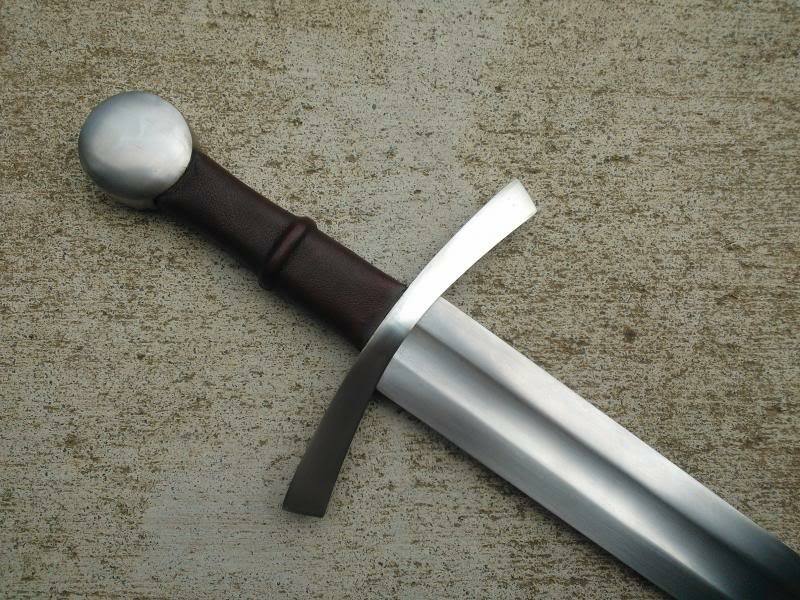 A&A is making me a Grunwald, and in a month or so, they will send it to you to be scabbarded. So I'll be getting in touch with you. In regards to Patrick's query: I have done and can do stitching, lacing, strap-tying, and the like. Customers just don't ask for it frequently because the additional labor does not fit into what they have budgeted on the commission. 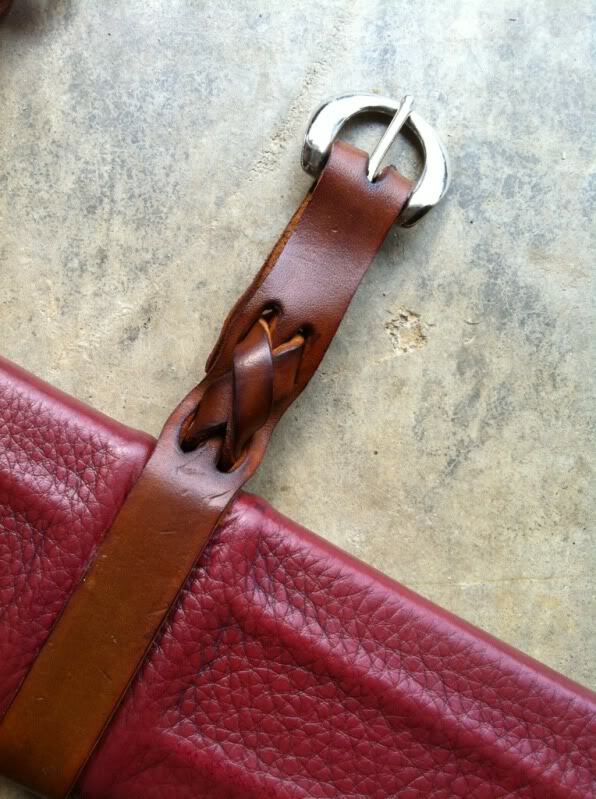 Mostly, I use small floret Chicago screws so that customers can change buckles out later if they desire to something more to their liking - that way they do not jack up the leather pulling a rivet out. These screws are not only removable, but much, much stronger than a rivet. As far as metal lockets and other fabricated metal elements go, I have experimented and done a couple, it again comes down to labor. Once I get the process down to where I can make them cheaper and of decent quality, you will see them available. Will definitely be looking into this once I hit a lull and can experiment more. As the husband of the owner of the Constable vine and leaf scabbard, I will say it looks even better in person. 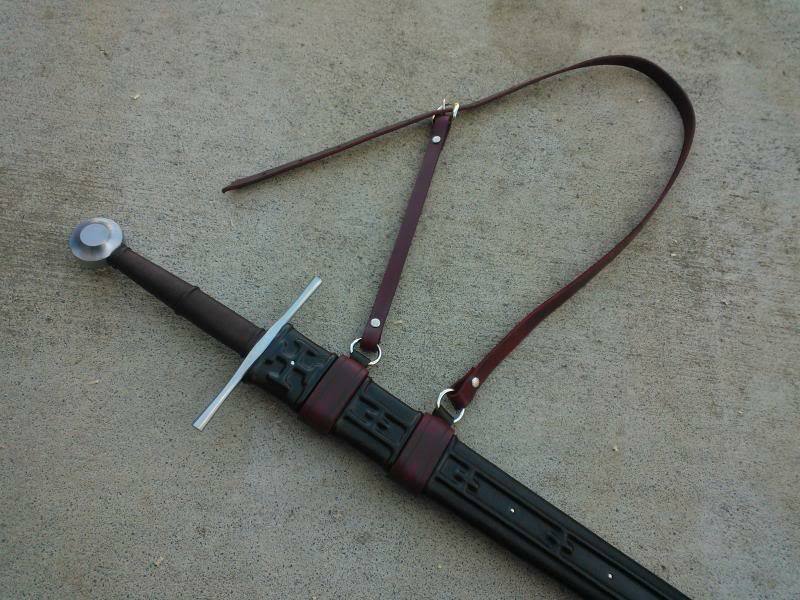 Sarge also did a much plainer but still great scabbard for my Agincourt along with a redying of the hilt from a orangie red to a much more maroon color to match. Thanks for some wonderful products, Sarge. So will you do a stitched back seam? Just like Christian Fletcher and Custom Sword Shoppe, I plan on continuing to produce mine with butted seams instead of stitching to keep costs reasonable. For those dead-set on rear seam stitching, I've been referring them to over DBK. Brian's a master at it. Although I can can completely resonate with customers who are looking for fit their budget, I would like to point out that commissions with artisans are something that will last well beyond your current lifetime, and the additional cost of commissioning exactly what you want, verses settling for something that kind of fits your budget will not only keep traditional crafts alive and prospering, but be something precious that can be passed on from generation to generation. The swords that we collect are not just sharp and pointy objects. If you understand that, then you understand what I'm saying and where I am coming from. If not, that is okay too. I could not agree more with this sentiment. 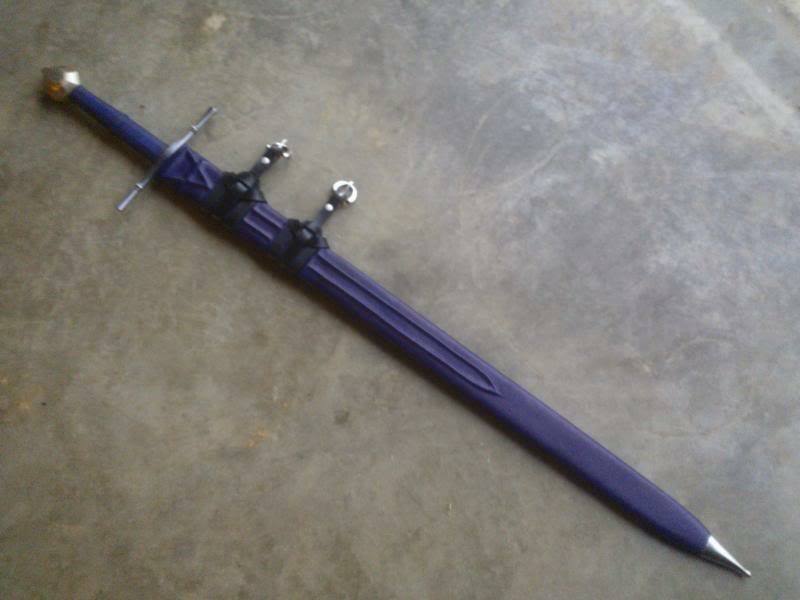 It's been said that you should spend at least as much on the scabbard as you did on the sword. I do have some high end scabbards and economy scabbards plus the scabbards that came with the lower end "good" models I have in my collection. 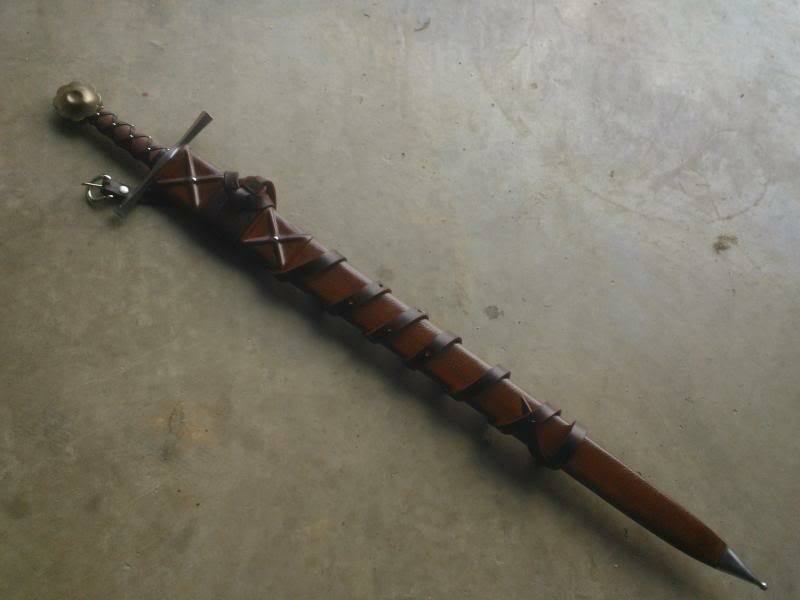 I do appreciate the high end scabbards and the artistic talents of the makers. My collection is displayed in some 16-sword holder Japanese style stands. All the scabbards I own are in large Tupperware storage containers in my storage room. 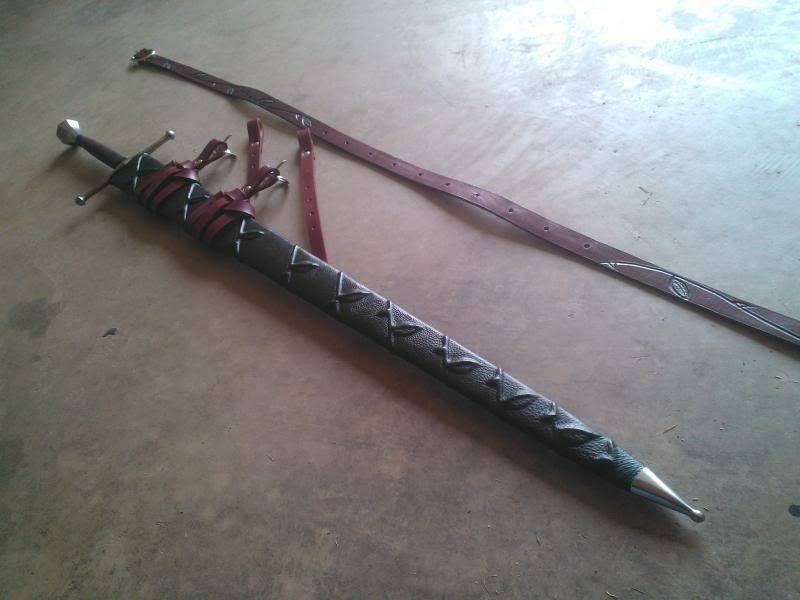 I don't wear period costume or attend fairs which means the swords mainly stay in the house and do not go anywhere. 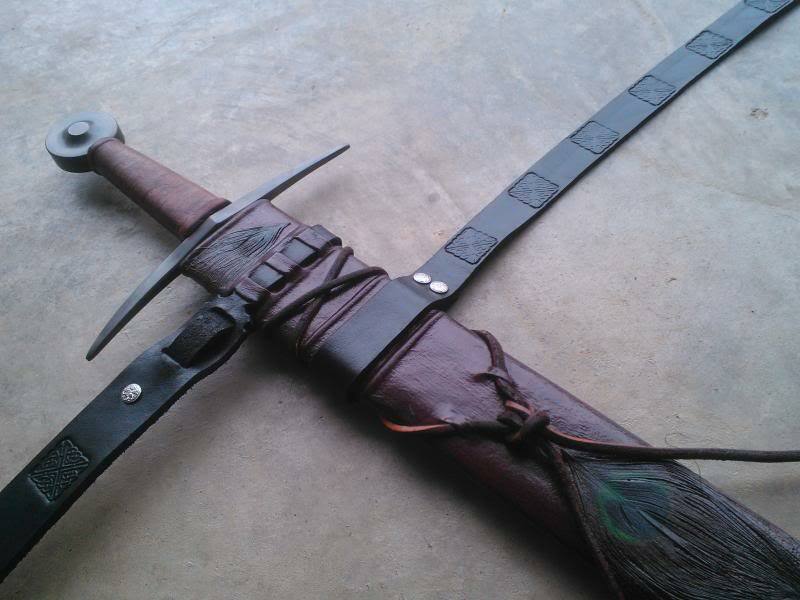 I like to buy the economy scabbards for blade protection for my expensive swords for when I will be required to move back to the States from Europe but they are good enough for folks who actually use them. If my collection only numbered ten or under expensive swords, I would most likely have high end scabbards for them all. 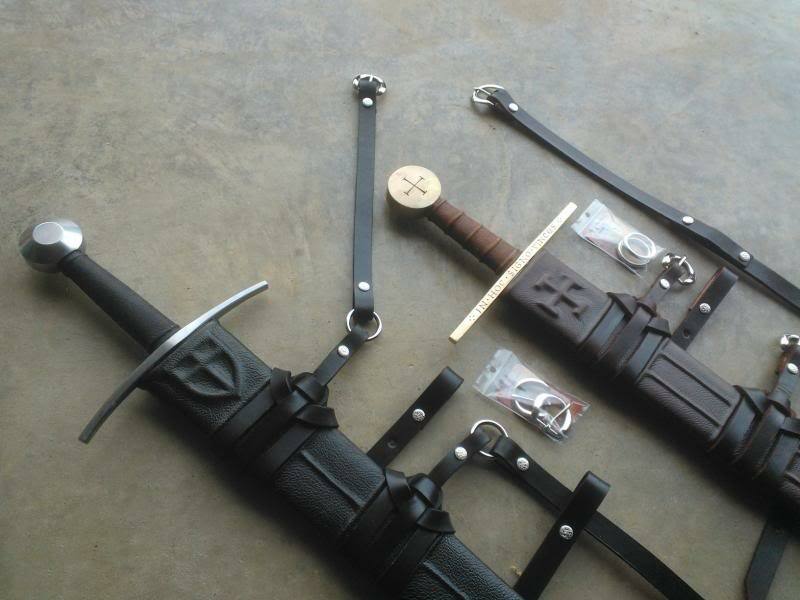 I can see both sides of the well made economy scabbards -vs- the higher end ones. I have both and appreciate them for what they offer the buyer.